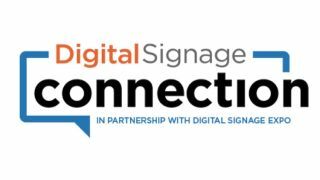 Digital Signage Connection (DSC), the news and information portal supported by Digital Signage Expo as its year-round resource for digital signage professionals and end users invested in the digital signage space, will hold the latest installment of its monthly webinar series on Thursday October 19, at 2 p.m. EDT. Bryan Meszaros, CEO and founder of OpenEye Global, and Steve Glancey, vice president of business development at Screenfeed, will co-present “Overcoming Content Challenges.” Developing effective content that resonates with viewers is an ongoing challenge for the variety of environments and dwell times was a topic discussed in detail by the Digital Signage Expo’s advisory board this past March. “It’s difficult to isolate the challenge of providing content for one particular type as each ‘environment’ presents its own unique difficulties,” Meszaros said. Attendance for this 30-minute webinar is free, but registration is required, and can be completed by clicking here.